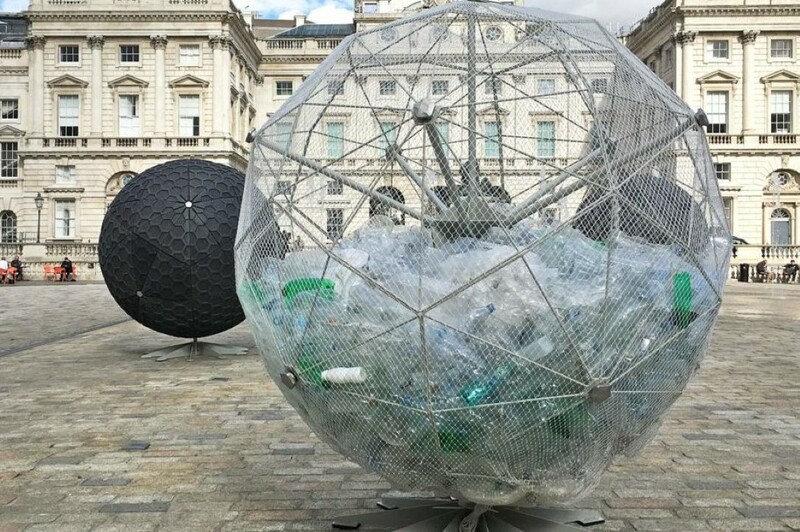 After stunning audiences in Beijing, Shanghai, and most recently in London, the Trashpresso makes its way to the Milan Design Week. The massive machine, big enough to fit into a 40-ft shipping container, is the world’s first off-grid, industrial grade recycling solution. What does it do? 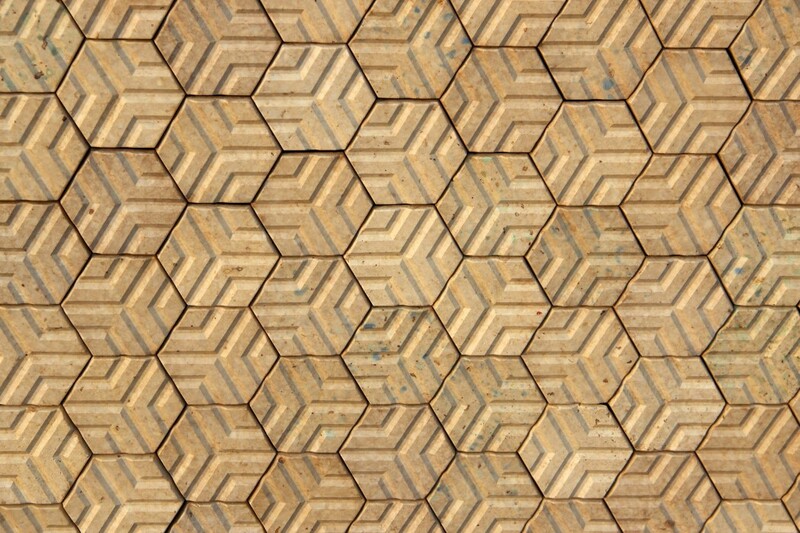 Turns plastic waste into stunning, upcycled architectural tiles. The upcycling process takes place in five stages. 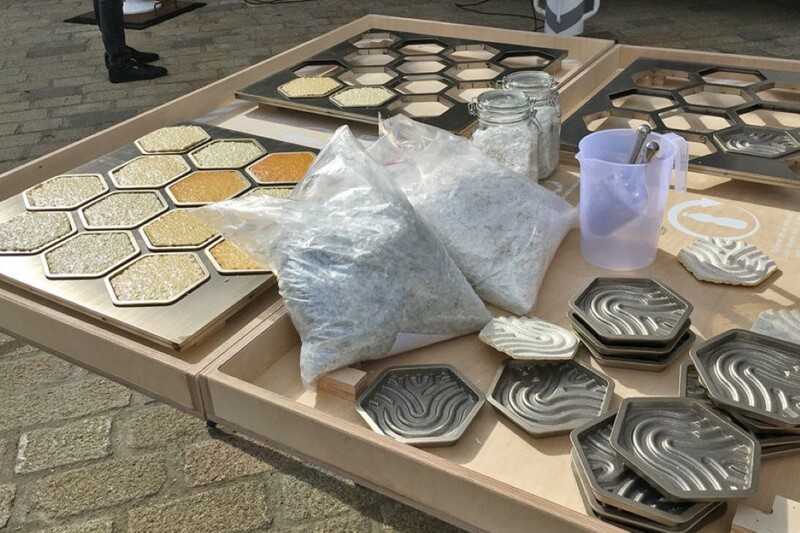 The gathered plastic waste is first shredded, then washed, air-dried, dehumidified, and then baked into molds that form the recycled plastic into beautifully patterned hexagonal tiles. 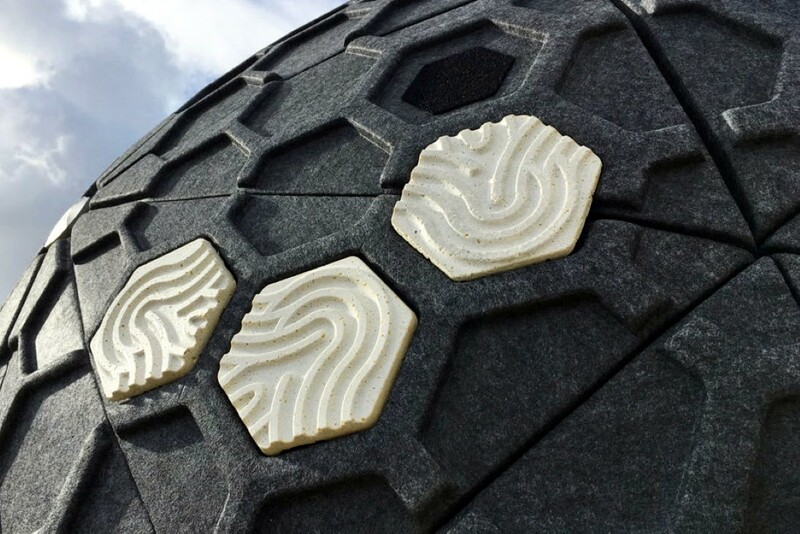 Made from PET waste, the tiles are durable, long-lasting, and weather resistant. 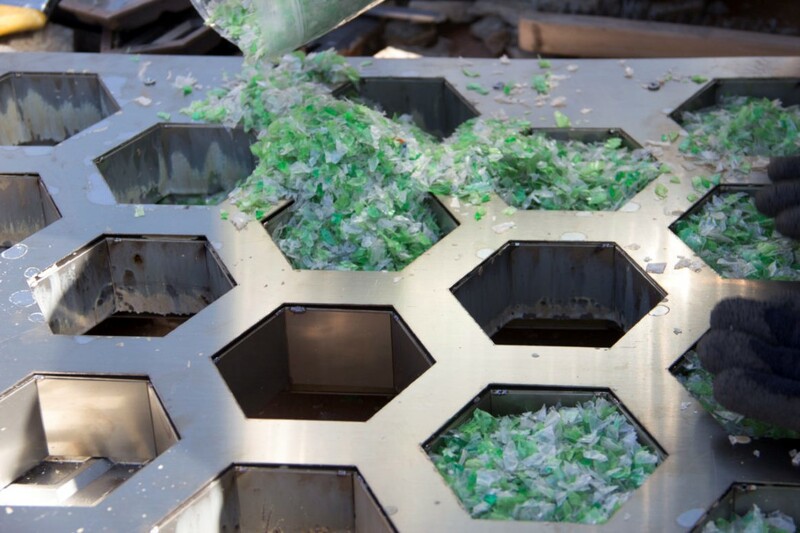 The Trashpresso can upcycle up to 50 kilograms of plastic waste per hour, converting vast expanses of plastic waste into decorative tiles that can be used in homes. 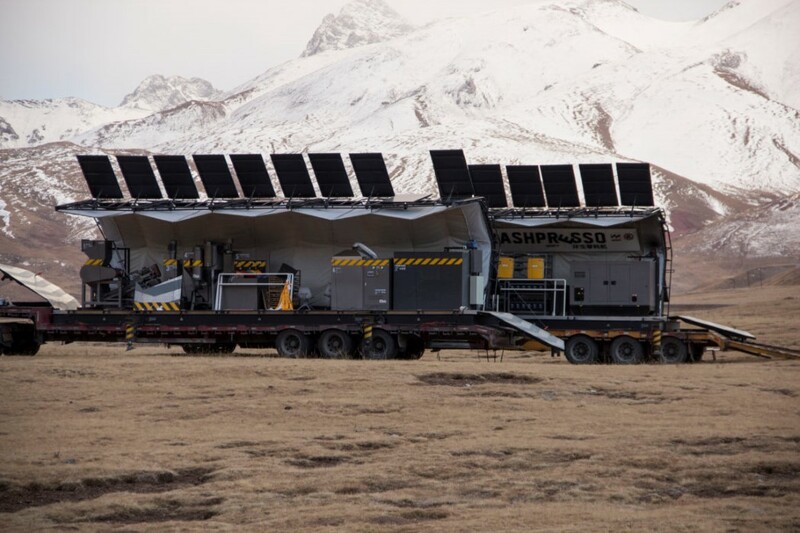 The machine can be transported anywhere a truck can reach, and relies on solar power to run itself. It also leaves a zero water footprint, as every liter it uses is looped back through three steps of filtration: quartz sand filter, ultrafiltration, and reverse osmosis. The Trashpresso will be showcased at the Milan Design Week 2018 from April 15th to the 22nd.